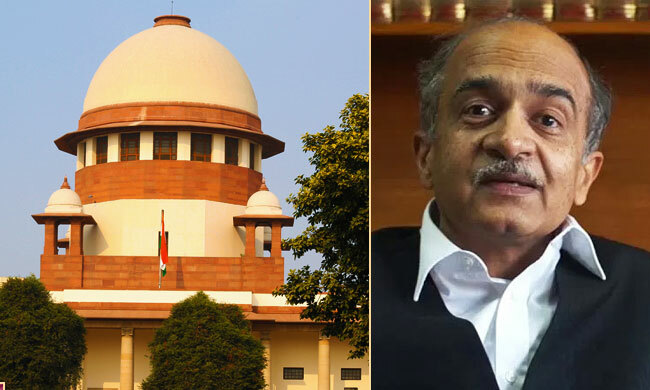 The Centre today filed a contempt petition against advocate Prashant Bhushan for his tweets that the Attorney General had misled the Court by submitting that the appointment of interim CBI Director Nageshwar Rao had the approval of High Powered Selection Committee. Yesterday, the Attorney General himself had filed a contempt petition against Bhushan. The issue pertains to the submission made by the Attorney General on Friday that Rao's appointment was with the approval of Selection Committee. Later in the day, Bhushan tweeted that he had consulted the matter with Mallikarjun Kharge, the leader of opposition, who allegedly said that the committee had not deliberated the appointment of Rao. As per centre's present petition "such an act by a counsel of making false and irresponsible allegations on a public platform, rather than raising his grievances, if any, before this Hon'ble Court, is grossly contumacious and warrants punishment by this Court". In his contempt plea, the AG had advanced that Mr. Bhushan deliberately intended to cast aspersions on his integrity and honesty in placing the minutes of the meeting before the apex court during the February 1 hearing. The contempt petitions will be considered by a bench of Justices Arun Mishra and Navin Sinha tomorrow.